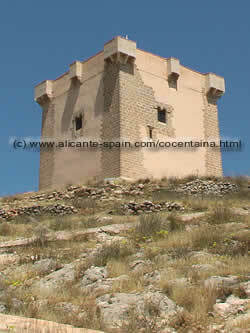 I am so glad that my curiosity took me past the well-known city of Alcoy (interior of the Costa Blanca), just 8 kilometers north on the N-340, and there it was – Cocentaina. (Some people misspell it and say Cosentaina or Concentaina). As I looked through the three different travel guides that I had bought of Spain to get an idea of what I might find here, I was astonished that there was either nothing or just a few lines about this tucked away medieval treasure town in the mountain range called Sierra Mariola. So I took out my third eye and best friend to record what I had discovered. 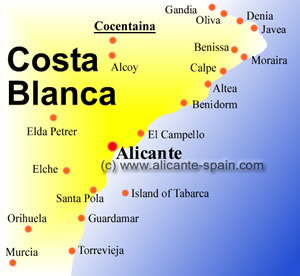 Cocentaina occupied the northern of the province of Alicante, being the capital of the Muslim area during the final stage of the 11th century. 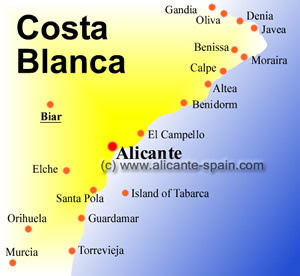 It was later saved from Islam domain by Jaime I in 1258, but half a century later the Arabs from Granada came back to have their final revenge, setting fire to the town. But there are still two distinct parts of this town that have so much history to “tell” and show us. 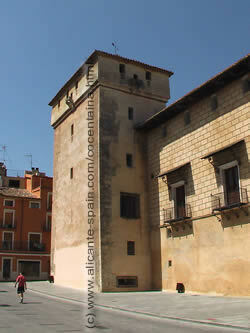 As you walk towards the Palau Comtat ( Comtat Palace ) in the Christian part called La Vila, the cleanliness, medieval flags, shields and the signs which lead you so well around the town stick in my mind. This palace was host to the Corella family who had a woman’s head on a snake’s body as their shield. The palace’s 13th century Gothic architecture is no longer visible because the Countess Corella decided to change it to a Renaissance style when she held the reins there in the 15th century. There are lots of arched columns to go through, beautifully painted, engraved and chiseled ceilings and tastefully laid out tiling on the floors. But all hope is not lost as to seeing what it originally looked like in all its Gothic splendor as there is a hall called Sala Embajadores which shows the typical Gothic art of that time. 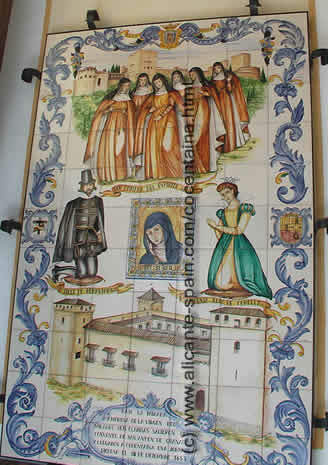 There are tiles representing many of the bloody warfare that went on between the Christians and Moorish people. The one that especially caught my eye was the one describing, with images of course, Jaime I posing majestically on a hill before he engaged in battle to overtake Valencia. Right next to the Palau is an impressive church which, for me, should really be called a Cathedral thanks to its ornamentations and elaborate architecture including a huge golden entrance door. 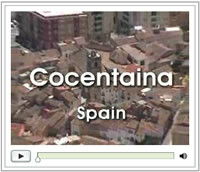 See for yourself in the Cocentaina video. 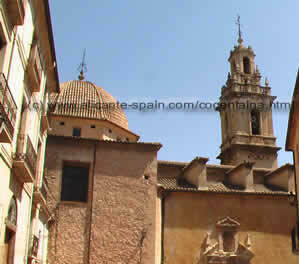 But even though it has this austere appearance, the fluency of tourists and local people make it very “down to earth”. From there I headed up the hills to the Hermitage of Saint Barbara ( Ermita de Santa Barbara ) where there are breathtaking views and a great parking area. Then you can go on a winding path by car which takes you to the Arab Castle of Penelles dating back to the XIII-XIV c.- well, to call it a castle is being pretty ambitious. There is only a tower remaining. I was also lucky to find a quaint Hostal called Els Frares. It is an old renovated house of the area with fine views and a restaurant where I tried the local specialties of stewed partridge and fresh leg of lamb. Good hearty meals for roughing it in this mountain region. Impressive churches and beautiful architecture throughout the entire city.